Bay Area Orthopaedic Specialists maintains this website as a benefit for and service to our patients, as well as our community. 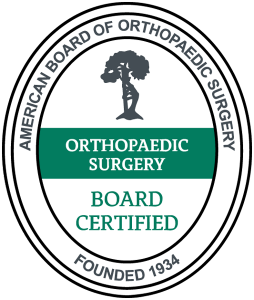 While Bay Area Orthopaedic Specialists and our representatives strive to keep the information contained in this site current, no warranty or guarantee concerning accuracy of content is made. Some of the information contained in this site relates to medical topics and issues; however, no information in the site should be construed as medical advice. All questions regarding your health or possible health problems should be directed to your physician. In addition, this site includes links to other websites; however, Bay Area Orthopaedic Specialists does not endorse the linked sites, and takes no responsibility for the content or information contained in the linked sites.